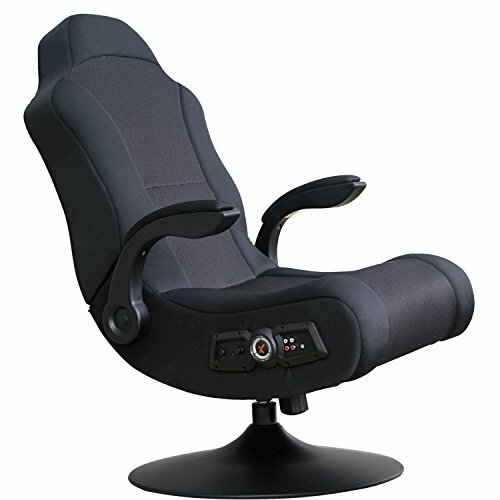 Gaming style swivel Office Chair with high Back for more lumbar support. 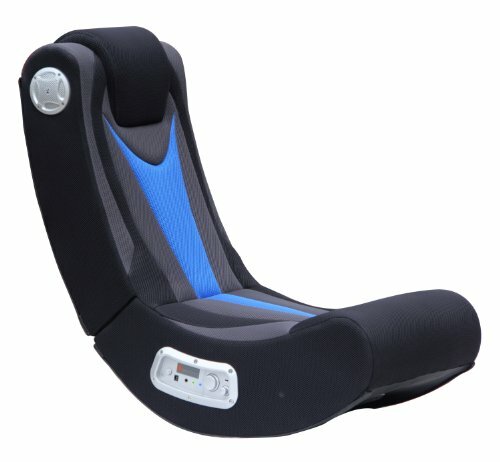 Lumbar（vibrating） & headrest Cushion can be adjusted or removed to suit individual needs. 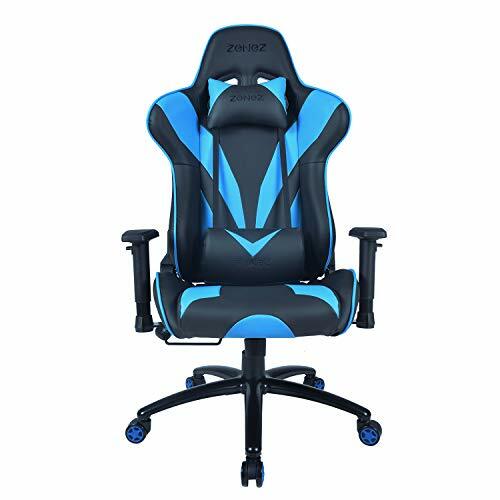 Designed with a retractable padded foot stool that can be pulled outwards to relax your legs on or fully withdrawn for work and study. 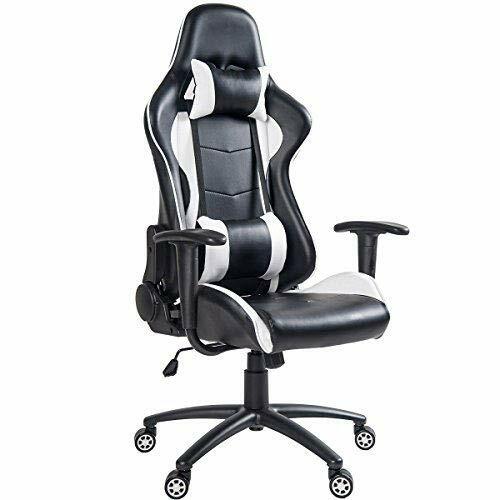 Durable – built from high Quality PVC, padded with thick recycle foam, Black metal base and high Quality nylon castors, this tested gaming chair is durable and stable. 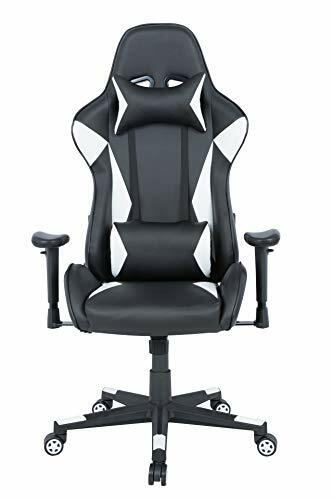 Chair dimensions – size of back: 21. 7″X32. 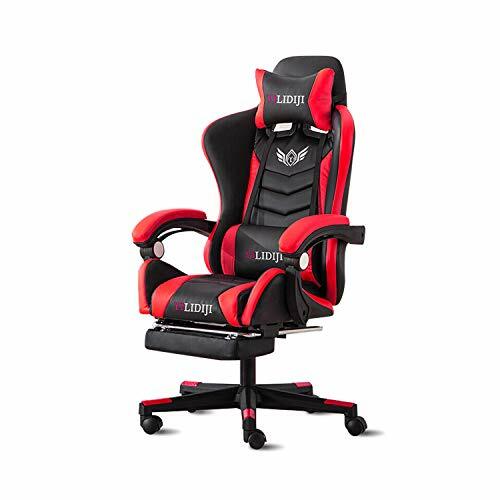 3″(Lxw), size of Seat: 21. 7″X21. 7″(Lxw), 3. 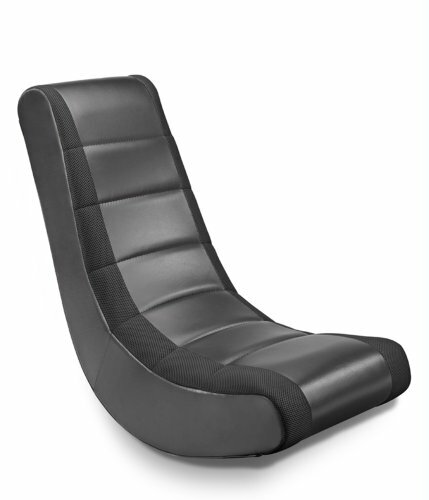 2 inch Seat adjustable Height; maximum weight capacity: -300 pounds. 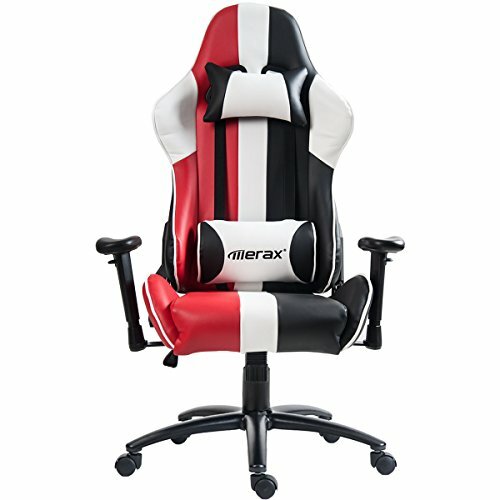 – Free exchange or full refund for any quality problem within 30 days after purchasing. Any question you meet during usage, just feel free to Contact us, We will always here to solve the problem with your 100% satisfaction.